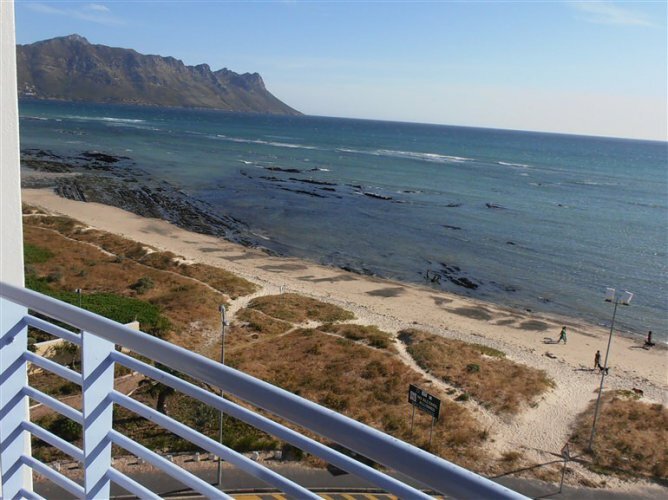 Self catering apartment across from beach offering spectacular sea and mountain views. 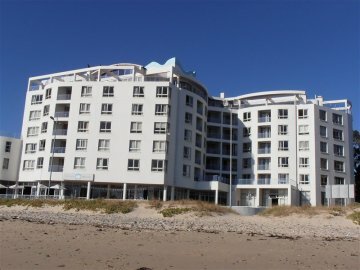 The privately owned, self catering, Executive Apartment Units are situated on the 5th floor, Ocean Breeze Hotel, Strand. 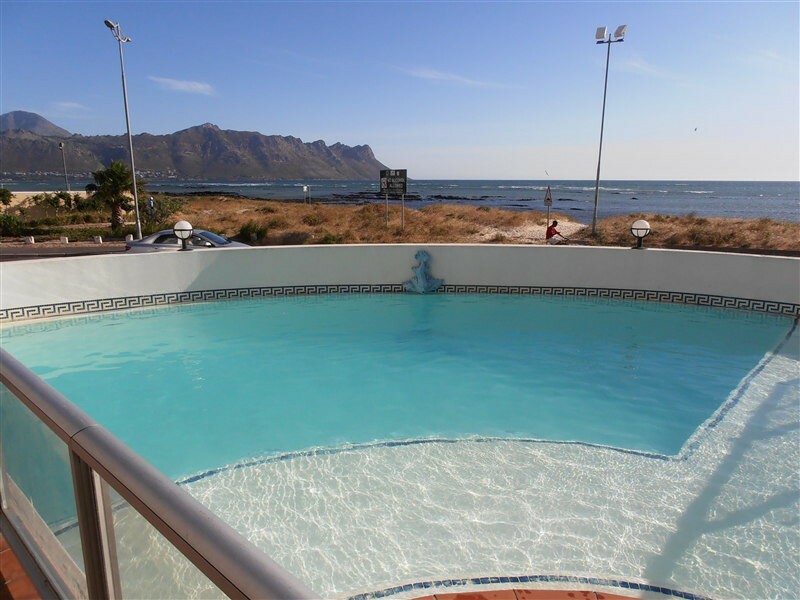 As you enter the apartments, a wonderful view of False Bay and the surrounding Helderberg Mountains awaits you. Strand beach is a leap across the road. 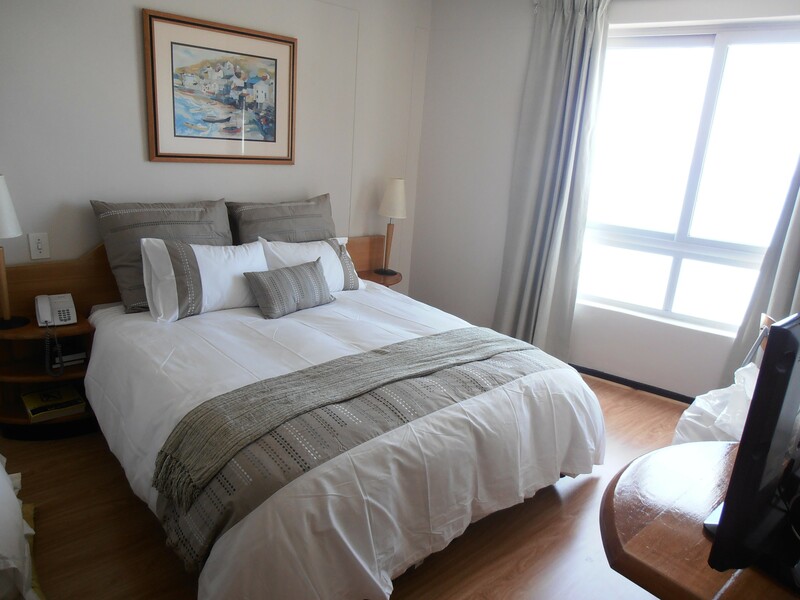 Double Bedrooms with ensuite bathroom/shower. Open plan, fitted kitchenette with microwave oven, fridge, kitchen appliances, cutlery and crockery. 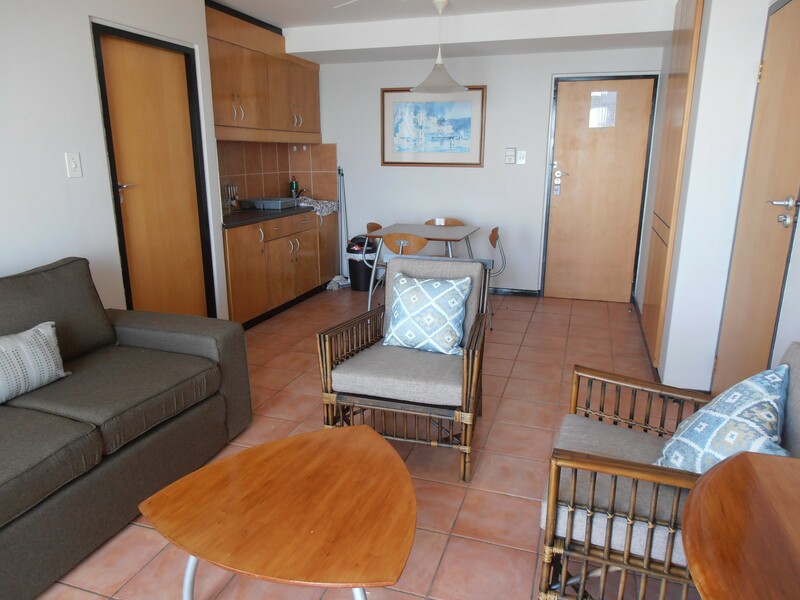 Comfortably furnished lounge with a double sleeper couch (suitable for the youngsters) and flat screen television. 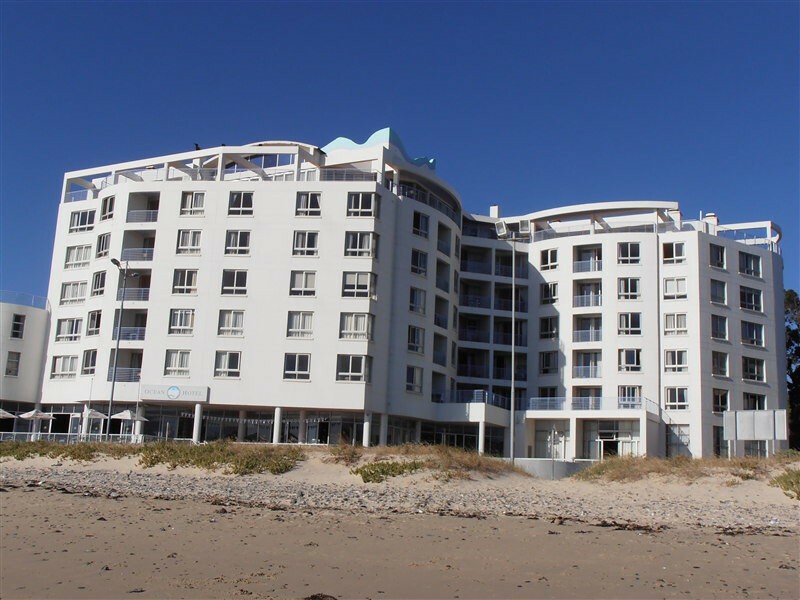 Large sliding doors open on to a balcony with great views of False Bay and the surrounding Helderberg Mountains. Guest bath towels and appropriate linen are provided. A daily cleaning service and laundry service is available at an extra cost. Cots are available for babies. Secure free underground parking available. Transportation to Airport and City can be arranged.